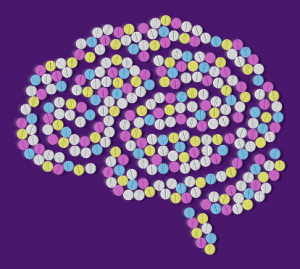 Do Brain enhancement supplements and drugs actually work? Some are risky and are others even worth trying? We will discuss their safety and usefulness. Many bankers, college students and of course the geeks in Silicon Valley are sharpening their minds with the use of cognitive enhancement supplements. The mainstream medical media has renounced cognitive enhancement supplements as nothing but bogus and snake oil being sold to the mass public but is this really true? Is a cup of Joe just as good as it can get for us or is there something else we can stack along or consume independently that can produce measurable objective results. To quickly recap we will discuss what brain enhancing drugs are, what smart drugs are, and what nootropics are and what the main differences between these are. Memory enhancing drugs also referred to usually as smart drugs are pharmaceuticals that are prescribed by your primary caregiver most likely a physician. These include drugs such as modafinil which is prescribed for sleep disorders or others for ADHD such as Ritalin and Adderall among others. Nootropics are loosely defined as substances that help maintain the integrity of your brain and keep your brain functioning at optimal levels using natural or sometimes synthetic compounds that can be consumed for the long run. An example of a nootropic that can be taken for a long time would be Bacopa Monnieri from the Ayurvedic medicine system. These nootropic supplements are largely unregulated and have a lower amount of scientific evidence to back their efficacy, however as in the case of Bacopa, they have been consumed for over 2,500 years. We will quickly discuss how ADHD medications work and we will discuss which nootropics you should consider taking. ADHD drugs are useful for those that have attention issues (obviously), poor memory and mood swings. These drugs are essentially a legal form of amphetamines, they have slow release and are a combination of different salts1. Overtime these drugs have been reported to have many side effects and dependency issues and worst of all produce a tolerance build up, because of these said reasons, those suffering from cognitive issues consider natural alternatives first. One of the original nootropics supplements is called Piracetam. It is quite possibly the most well known and most will research among all the other racetams. It Is widely used in college campuses around America, and it was discovered by the same people that coined the term nootropics. Piracetam at one point was also sold as a commercial pharmaceutical drug named Nootropil. Many more derivatives of Piracetam have been developed and are much more potent but lack the clinical research, one such drug is called Noopept, which is claimed to be 1000x more potent — were not sure how that measure of potency came to be. Another example of a natural nootropic as stated earlier is Bacopa Monnieri. Bacopa increases BDNF when supplemented for at least 30 days which means the connections between neurons is strengthened thus providing better memory supposedly in trials2. There are countless other natural cognitive enhancers that you can explore over here. 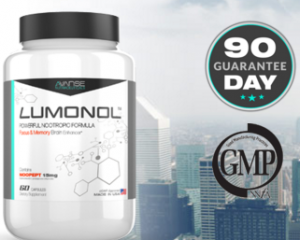 Another supplement that we highly recommend is Lumonol, and you may read the review for Lumonol and its positive effects on users on the review page. It contains Noopept and a wide gamut of many other supplements that help improve memory and recall in the short and long-term. An example of an off label smart drug being utilized for cognitive enhancement includes one called Armodafinil or its predecessor Modafinil. Generally this drug is only approved for uses of sleep work disorder, sleep apnea and narcolepsy. If you were to read online forums, you would notice that everyone says modafinil is completely safe to use for the long term without worry. However, many side effects have been reported, with headaches being by far the biggest side effect. Some side effects that we noticed our self from testing it was anxiety, irritability and slight dizziness the day after. Also, a decreased appetite, though that can be seen as a positive effect as weight loss is a benefit in many people’s eyes. This drug is sold under many brand names such as: Provigil, modalert, and alertec. You can actually even buy it online under it’s “less purified form” called Adrafinil which we also have reviewed. Generally if you feel that you’re already performing at your peak you need not try any of these supplements or drugs. If you feel like there’s room for improvement and you have felt better before, you could give it a try, it is advisable that you talk to your doctor first before starting and do thorough research before building your stack. Generally the greatest impact will occur for those actually suffering from cognitive deficits. If you do not notice any significant improvements then you may just be performing at your peak or the the supplements you have decided just may not be working for you. To know for sure we advise you to use our site to measure your results, keep everything equal, and change one variable at a time, it will pay off in the long run. If you are under the age of 18, think twice before attempting to bioengineer yourself through chemistry. Make sure you’re taking the obvious supplements first, such as a vitamin B complex (perhaps stacked with Choline), which alone may be enough for you. Additionally make sure you get enough sleep, and that you are eating healthy, not consuming copious amounts of alcohol and exercising to make sure these items are not impacting your cognitive performance before beginning a supplement regimen. Good Luck. 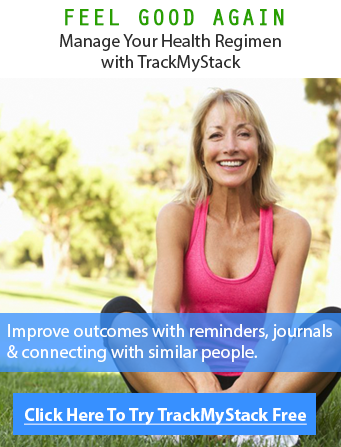 Lumonol Review – Does it ACTUALLY work?